Just did a wordpress theme change for a facelift to http://aboutbsd.net. Probably there will be a few change on the background & header. Do let me know if you have any suggestion. 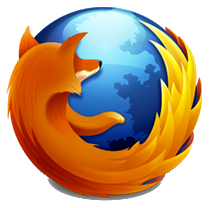 Starting from OS X snow leopard (10.6) to Lion (10.7), Firefox have a mouse gesture of swiping 2 fingers left as go back a page in history & swiping to the right as go forward a page in history. Some times it is too sensitive as I scroll up & down in text reading would also trigger this behavior. Then I need reload the page again to get back where am I. Search in Google & Duckduckgo doesn't yield much useful instructions. But out of a sudden a bulb lights up, this could be due to the mouse gestures that is being mischievous all these times! Seems like php 5.4.4 imposed some extra measure as best practice. Although phpPgAdmin works as usual, the error message is annoying. Plus, it is kind of bad to show what potentially can be exploit.